The art of Yngve Holen is an extended investigation of the human and its relationship to technology and our everyday surroundings. 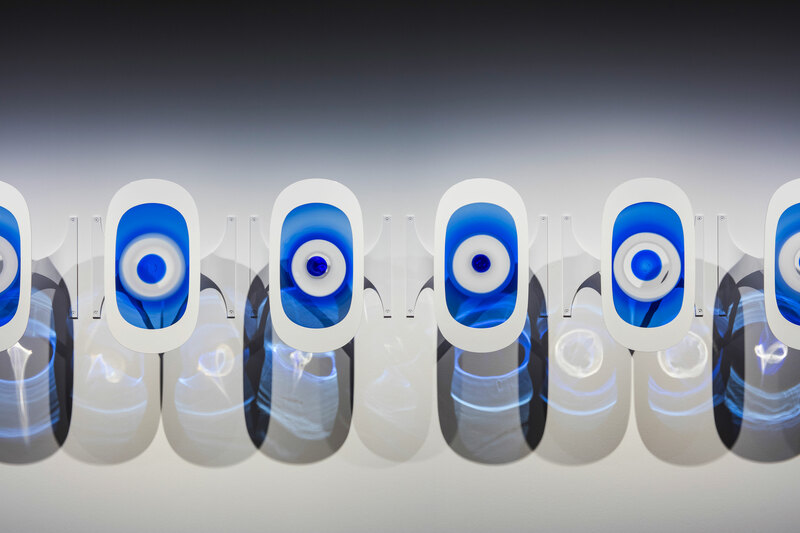 Taking on the mystical and the superstitious in this new series of works, Holen has produced glass-blown objects that resemble nazars (from the Arabic word for “sight” or “seeing”). Having barely changed over thousands of years, these pupil-like designs are talismans that protect against the “evil eye”—and are still a global phenomenon, sold in countless new age and tourism shops from Brazil to Greece to Iran. 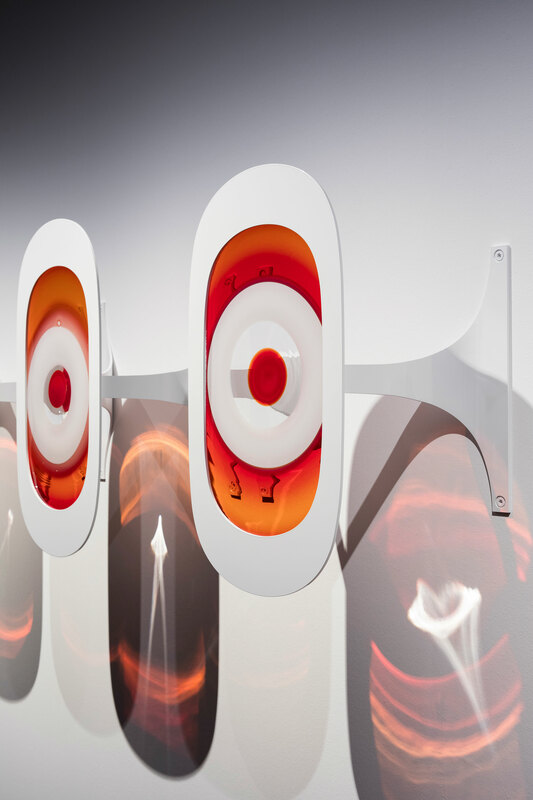 Holen’s glass versions of these nazars are shaped and sized like the portholes of Boeing 787 “Dreamliner” planes and are installed in a row. 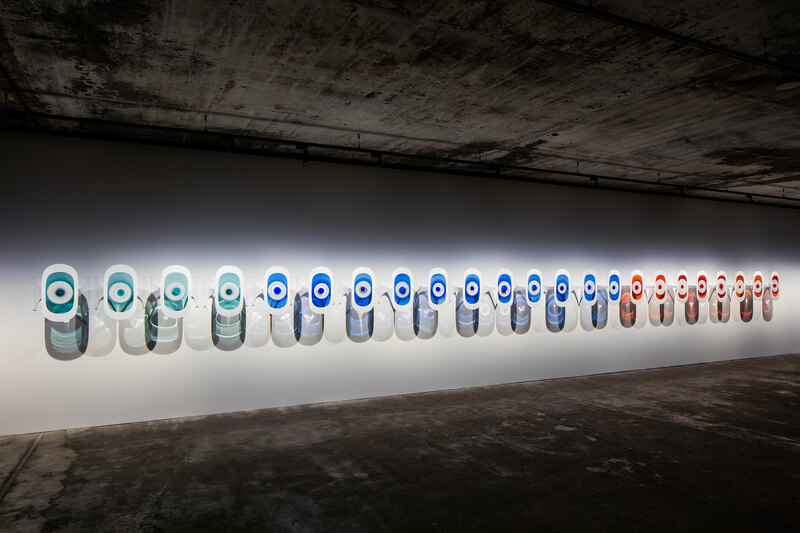 In the exhibited constellation they serve as windows to the world of global mobility—conjuring themes of superstition, economics, tourism, and social unease. 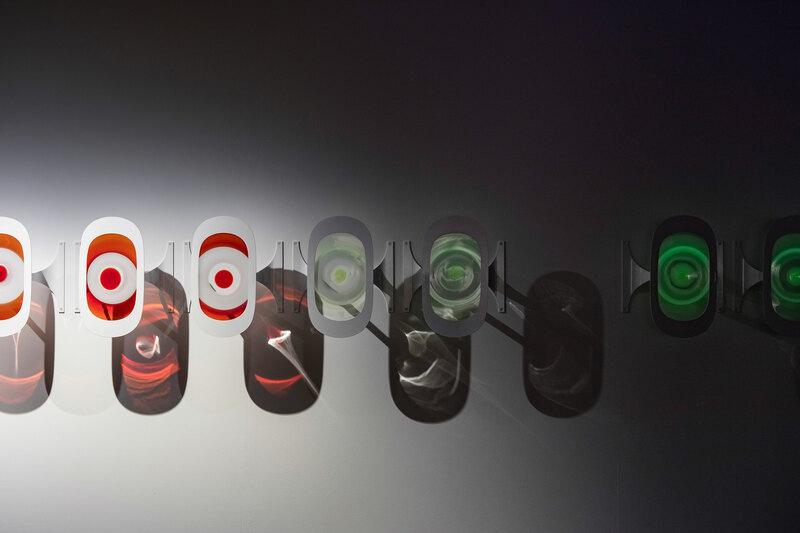 Holen has also produced Hater Blocker Contact Lenses of these protective charms. They can be purchased online, at the Akademie der Künste and at the KW Institute for Contemporary Art throughout the period of the 9th Berlin Biennale.